We recently released a new version of our AWS Elastic Beanstalk .NET container which, like the other Beanstalk containers, is based on AWS CloudFormation and lets you take advantage of all the latest features that have been added to Beanstalk. One of the exciting new features is the ability to deploy into Amazon VPC. The AWS Toolkit for Visual Studio has also been updated to support creation of VPCs and launching instances into VPCs. 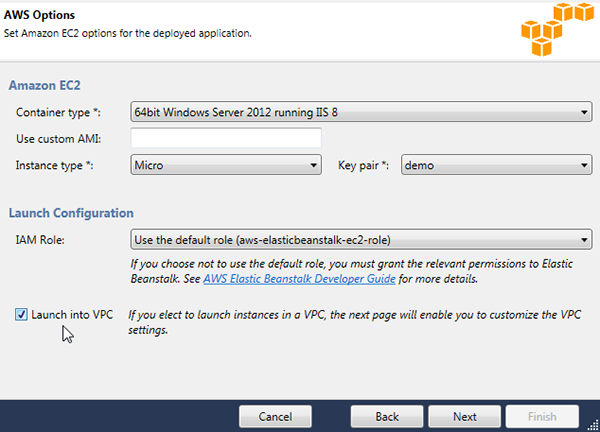 The Beanstalk deployment wizard was also updated so you can create Beanstalk environments in a VPC. The first step to deploying into a VPC is to create the VPC. To do this in the toolkit, open the VPC view via AWS Explorer and click Create VPC. 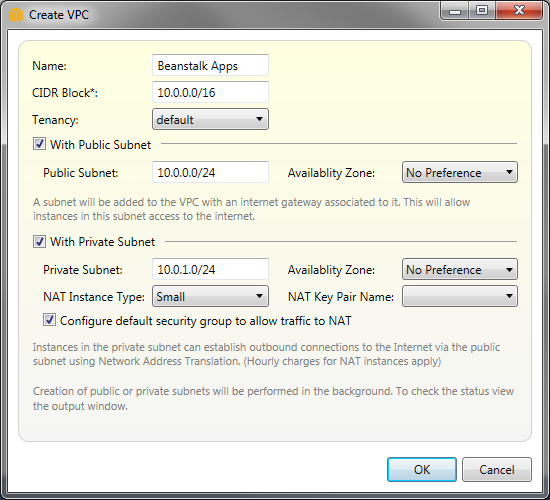 Another helpful feature we’ve implemented in the VPC create dialog box for the toolkit was to put name tags on the subnets and security groups. The launch wizard looks for these tags when you select a VPC, and if it finds them, it auto-selects the appropriate values. In this case, all you need to do is select your new VPC and then continue with your deployment. 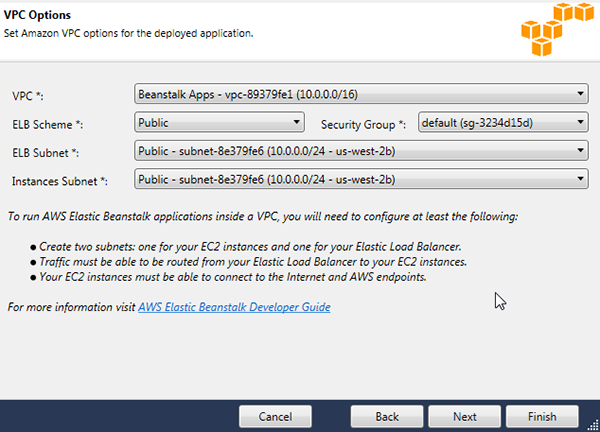 That’s all there is to deploying into VPC with Beanstalk. For more information, see Using AWS Elastic Beanstalk with Amazon VPC.